Athletic departments succeed when there is a culture of discipline, resilience, and leadership both on and off the field. Learn how you can develop this form of culture through our athletic leadership program centered on our time-tested two-step plan: events and process. Every athletic department and team is different. That's why we work with our partners to customize a sports leadership training program to their department's values, goals, and culture. Using the latest research, training system and sports leadership speakers, Growing Leaders partners with you to help coaches and staff better engage today's athletes and provides you with a proven plan to develop real-life leadership skills in the emerging generation. Through our events and process model, you will foster the leadership qualities of your athletes that will take your team culture to the next level. Help your coaches and staff understand and connect with today’s new athletes or inspire your athletes to own their development, by bringing one of our speakers to your team or department. Customize our leadership tool, Habitudes for Athletes, to bring your team’s values to life and help your student athletes become resilient leaders who set the tone for others. Habitudes for Athletes is creating unity between our coaches, our players and our front office staff to develop championship-caliber players, capable of making good decisions both on and off the field. Tim Elmore understands student athletes. He also understands what our role is in leading and shaping this next generation of leaders. A cultural shift is taking place, and we must be educated, aware and prepared for our role. Tim (and Growing Leaders) provides the insight we all need. The research behind this program provides incredible insight for any young athlete. Tim Elmore has incredible insights into the unique challenges of Generation iY and we’ve benefited from them tremendously. I am extremely thankful to the Growing Leaders team for helping players see the world through pictures. Access to these images and principles are incredibly valuable in the mental development of our teams. Our brains can now put a picture to real life situations and provide answers to be more successful. i highly recommend Habitudes and Growing Leaders to anyone interested in reaching maximum potential and success. I really appreciated the time we spent together last week when you visited us during spring training. We have already implemented some changes in the batting cage with the way we are presenting things to the players and have seen positive results in just two days! Habitudes for Athletes has been a breath of fresh air for our staff and student athletes. The images have sparked great conversations and experiences and given us a language for leadership. In recent years the institutions of higher education I’ve served have greatly benefited from the inclusion of Habitudes leadership materials as part of our leadership development initiatives for coaches and student-athletes alike. Indeed, engaging the predominant demographic of today’s college student is significantly enhanced through the use of images to teach leadership development. And, Growing Leaders comes alongside you to “coach” the coach providing a wealth of teaching tools and personal attention. As an NCAA III college who believes in the importance of both the academic and athletic experience for our student-athletes, Habitudes for Athletes has been the perfect fit to strengthen our efforts both inside and outside the athletic arena to develop student leaders. It has given coaches and players common language to use in holding one another accountable and developing the type of student-athletes who embrace the process of leadership development through the classroom of athletics. As our athletic program has grown, Habitudes has been a key tool in helping our student-athletes utilize the platform they have been given through sports to wield a positive impact on our campus and in our community. It was such an honor to participate in the training you offer. Thank you for all of the valuable leadership and life skills you have taught me through the Habitudes. Growing Leaders is an amazing organization and has been such a blessing in my life. Read and watch how the New York Giants, University of Alabama, University of Tennessee, University of Oklahoma, and more are using our student athlete leadership training system to help their teams create a leadership culture that resonates with today's athlete. In this free eBook, you will discover just who this generation is. 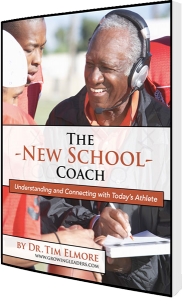 You’ll also be given the opportunity to build simple practical solutions that help motivate your athletes toward success and create lasting change within your team’s culture.